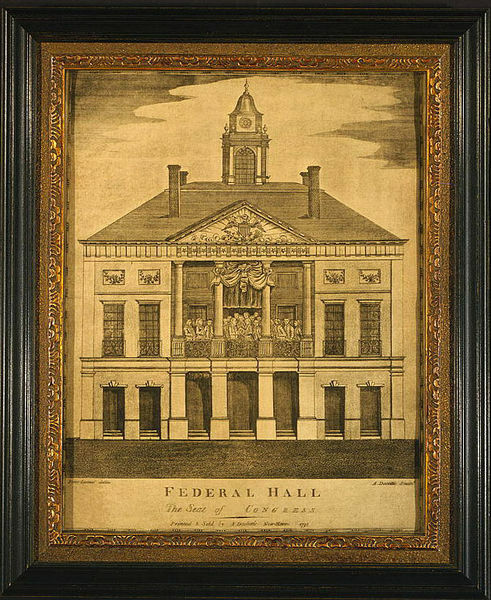 The First Congress of the United States of America and thus the official commencement of the U.S. federal government under the U.S. Constitution began on March 4, 1789, and ended on March 4, 1791. At the start of the First Congress there were 22 senators and 59 representatives. After ratifications of the U.S. Constitution by North Carolina on November 21, 1789, and by Rhode Island on May 29, 1790, there were 26 senators and 64 representatives. There were no standing committees of this Congress. Instead the Senate and House of Representatives acted as committees of the whole to consider individual bills. Thus, there are no committee reports regarding bills like those that exist today. Moreover, there are no transcripts of debates such as exist today in the Congressional Record. The record of the 94 separate pieces of legislation produced by the First Congress, however, is available in 204 pages of 1 U.S. Statutes. 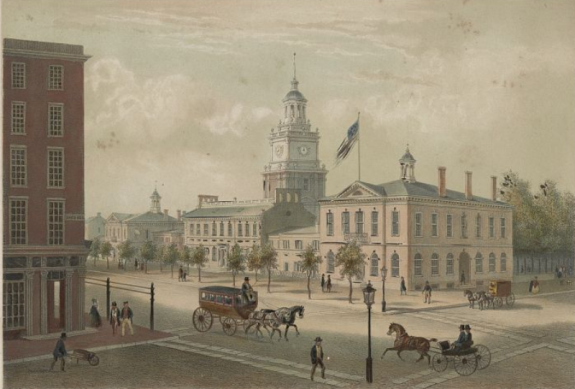 Subsequent posts will examine the First Congress’ adoption of the first congressional proposed amendments to the U.S. Constitution; the statute creating the federal courts (the Judiciary Act of 1789); the statutes creating the requirements for the first census (An Act providing for the enumeration of the Inhabitants of the United States, 1 Stat. 101 (1790)) and an individual’s becoming a U.S. citizen (the Naturalization Act of 1790); and debates regarding slavery. Bordewich, The First Congress: How James Madison, George Washington, and a Group of Extraordinary Men Invented the Government (Simon & Schuster; New York, 2016); 1st United States Congress, Wikipedia; Federal Hall, Wikipedia; Toogood, U.S. Congress (1790-1800), Encyclopedia of Greater Philadelphia; 1 U.S. Stat. 23-225 (1845) (the statutes of the First Congress). I have not done any original research regarding the First Congress other than examining the constitutional amendments it proposed and some of the statutes it enacted. Instead for the purpose of this and subsequent posts I have relied on Mr. Bordewich’s book, but I confess that it would be fascinating to examine the records at the 1st Federal Congress Project.